The solar system is a treasure trove of raw materials corporate powers would like nothing more than to exploit. This week, Corey Goode shares that the German secret space program developed mining operations in the Asteroid belt and on many moons in our star system. What was produced in these facilities enabled them to expand into the Interplanetary Corporate Conglomerate, powered by the industrial might of the United States. There are several types of propulsion systems used in the secret space program, one of them being a temporal type of warp drive. Apparently, early advents of these drives had the ability to travel through time and created a host of paradoxes that compelled the program to place limitations on future spacecraft using similar technology. Quantum entanglement communication devices were also developed, allowing personnel to communicate almost instantly from any place or time in the cosmos. Goode also describes assault rifle type railguns that employ electromagnetic technology to accelerate a projectile to incredible speeds. With a solid base of operations on Mars, conquering the rest of the solar system would become just another step for the secret space program. Corey Goode explains how the seeds of modern Human civilization began to germinate throughout the solar system. New developments in propulsion systems enabled new designs of freighter and mining craft to take full advantage of the natural resources embedded within the asteroid belt and distant moons. This interview with David Wilcock was originally webcast December 1, 2015. DW - Welcome to Cosmic Disclosure. I'm your host David Wilcock, and we are exploring the fascinating testimony of an insider named Corey Goode. Thank you for being on our show. DW - So when we left off [last time] we were talking about the Interplanetary Corporate Conglomerate (ICC) using the industrial power of the military and corporate might of the United States, post World War II, to create a massive expansion [into the solar system]. Now you said that there was a "seed" base on the Moon, that was small and built by the Germans, that was then expanded quite considerably by the ICC. And you also said that there were many failed attempts at bases on Mars, and then certain bases actually [successful] and were able to stick around. And then you said those also got built out. DW - Ok so, how many of the seed bases last on Mars? And where were they? CG - The first couple of German seed colonies that actually made it on Mars were within the first 20 degrees of the polar regions. Image marking the polar regions mentioned by CG as the locations where the first successful seed colonies were built. CG - There was one in particular that the ICC used to expand and build off of. And this one was somewhat in a canyon area - into the side of a canyon and somewhat advanced [inwardly]. It was under the surface of Mars, not on the surface. DW - And you said that some of how they hollowed out more space inside [a planet] is with these, what I was told, was these Fifth Gen type nukes. Where they just create a big sudden explosion with no lingering radioactivity. 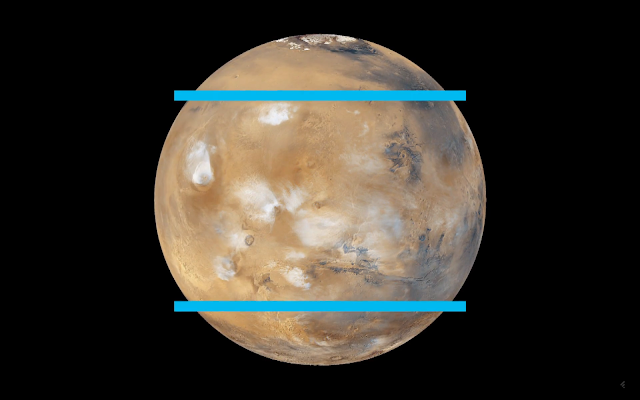 DW - The [Mars base] that became the mainstay was it in the Northern or Southern hemisphere? CG - The Northern hemisphere was where the first main base that [had] a German name, in the beginning [of the program], which was built out. And it was built out in a huge way. It was built out to contain a large amount of engineers and scientists. [There] was also, a little ways away, an industrial complex where they were going to start producing the items they needed, technology they needed that came from raw materials that they mined from Mars, moons, and the Astroid belt. They took these raw materials and turned them into usable materials, even composites, and created what they needed in these rather small plants in the beginning [of the program]. DW - What was considered to be the desired technology that they were building out there in the beginning? What was their initial attempt, what would they want to make? CG - They were building what was needed to expand on Mars. So in the beginning they were building just what was needed to expand their infrastructure [there]. DW - Are they building materials on Mars out of local stuff, like you said before, involving the kevlar bags and then making concrete out of the local earth from the Mars sphere? What was their building technique? You said that these industrial facilities they had been building the things they needed. CG - Yes, the raw materials were coming from mining that was going on on Mars, various moons, and the Astroid belt. These were all raw materials that were taken to the Mars industrial areas further away from the colonies and converted into useable materials. Whether they [were] melted into certain metals that were put into dyes or forms, or converted into composite materials. DW - Well you're touching on an interesting thing now because you're describing mining that's not just happening on the moon or Mars. I would guess there would have to be some kind of facilities built to mine on these moons, asteroids or whatever. DW - Three or four people? CG - Three or four people, yes. They operate these mining facilities. A lot of it is done robotically and remotely, through remote machines. The raw materials are then put into large freighter craft and then flown back to the planet Mars, to the facility that it needs to go to. And the raw materials are taken out of the freighter craft and converted into materials that are needed. DW - You said in a previous episode that the Germans had discovered, through extraterrestrial assistance, these spherical natural portals they could use to teleport even something as big as a battleship to Mars or elsewhere. Are there such natural portal systems available to them on these asteroids or on the moons? Why would they have to use the shuttlecraft? - is really what I'm [asking]. CG - It's just more practical for them to transport these materials in large freighter craft to and from the asteroid belt and these moons to [different] locations. DW - If we saw one of the freighter craft, what would it look like? CG - It's almost like a super large shipping container, with small little wings on each side, that just barely jet out. The wings don't look like they are large enough to use the Bernoulli principle to give them flight in an atmosphere, but they have wings on them nevertheless [that are] really small. [The Bernoulli principles are a set of experiments and related mathematical models made by Daniel Bernoulli in 1738, describing how a fluid moves faster when a decrease in pressure occurs within fixed volume. These models relate to the description of air over a bevelled wing to produce lift, the primary mechanism employed in modern aircraft today.] And at the front [of this flying shipping container at] about a 45 degree angle [is] where the cockpit is. And the back part is like, basically, like a big rig or a shipping container. That part is detachable. But I've never seen it detached. I've only seen them attached, coming and going. DW - You said that the original German craft were using this mercury propulsion system, rotating mercury [called by CG in Season 2 Epsode 1 Electrogravitic drives]. What is the power source for a craft like the shipping containers? Are they still using mercury at this point or are have they gotten a more advanced propulsion system? DW - People in the program actually say it's a warp drive or just saying lay persons? CG - We would consider it warp drive, [as in lay persons]. It creates a torsion field. You have like the engine, and on either side, you have a torsion [field] coming from the center of the device on out. DW - It's almost like creating a hill in space-time that it's falling into as it goes forward. DW - Meaning time travel? CG - Right. And [these temporal drives] work almost like teleportation, it's instantaneous. DW - What was your understanding of time as it was presented to you? Did they explain the discrepancies between the physics of time, like Einstein saying it's one dimensional and it only moves forward? DW - Alright well let's stick to the drives for a minute. So you have space-time, like squeezing the pumpkin seed out of your fingers kind of thing, where it's falling into the hole that it creates. CG - Yeah, the torsion. DW - Torsion drive. Then you have this temporal drive where you could travel in time, but you said they put buffers on it. Why do they need the buffers? DW - So could you talk to someone in a different time by quantum entanglement? CG - Anything that's quantum entangled, no matter how far you separate them in dimension, reality, time-space - they stay entangled. DW - And by the like [a] Doppler [type] effect, the lag time, you can calculate space and time coordinates where that person ended up falling into. DW - Did you experience time paradoxes, that kind of thing? Is that part of why they don't want people jumping back? Can they mess with our timeline somehow? CG - There were a lot of experiments of people going back in time and doing experiments. They [said] "oh we've created all these divergent timelines." And then they were sending teams going back trying fix them, making things worse and worse and worse. Finally, they realized that time is like space, it's elastic. And all these paradoxes all collapse and go into a singularity. Our consciousness controls these's timelines; it has an effect on these timelines as well, and which timeline we're going to be - we choose which timeline we're going to be in consciously. [I find CG's comments about consciousness and timeline collapses very intriguing. In the Reciprocal Systems Theory mentioned above, the physical universe is divided into two general regions, space-time with three dimensions of space and one dimension of time, whereas time-space has three dimensions of time and one dimension of space. The boundary between the two is the speed of light, as motion accelerates past the boundary it enters time-space. The closest thing we have to understand this realm is the mind, which is a fixed point of view on the world (space), able to navigate through time. Recalling memories is one way of moving backward through time, whereas imagining future possibilities moves consciousness forward in time. Desire is an exclusively forward-looking phenomenon, creating expectations that may or may not come to pass. Unrealized or false expectations can be thought of as paradoxes, things that can generate real feelings when we think about them beforehand, but don't actually come to pass in the physical world. For the moment, let's accept that for all intents and purposes faster than light motion is 'made of the same stuff' that our minds are made out of. Now let's consider the notion of the truth being a singularity, meaning there is only one truth, but many different perspectives. This is why each person has their truth, a unique point of view on all that IS. Being a truth seeker in this sense is the endless journey of reflecting singular truth in the mind, gaining accurate knowledge over time via experience. An individual singular consciousness synchronizing with objective reality. A mind seeing all with consciousness organizing it into meanings, tested by experience to distil the singular truth; wisdom. Merging the two ideas together, it stands to reason that our minds in some way interface with the mental 'material' in the realms closer to pure consciousness where there is singularity; the truth. When we desire something, this mental image spreads out into time-space, condensing probability fields that exist as alternative timelines. And because the truth is singular then all timelines that do not resonate with truth must ultimately be harmonized just as false knowledge is ultimately harmonized with the truth via experience. False knowledge is essentially a paradox, something that can't be true, but is accepted as such none the less. False knowledge is an inaccurate representation of reality within the mind, a fundamental lack of organizing structure, often called logic. Since the truth is singular, then knowledge must be as well. 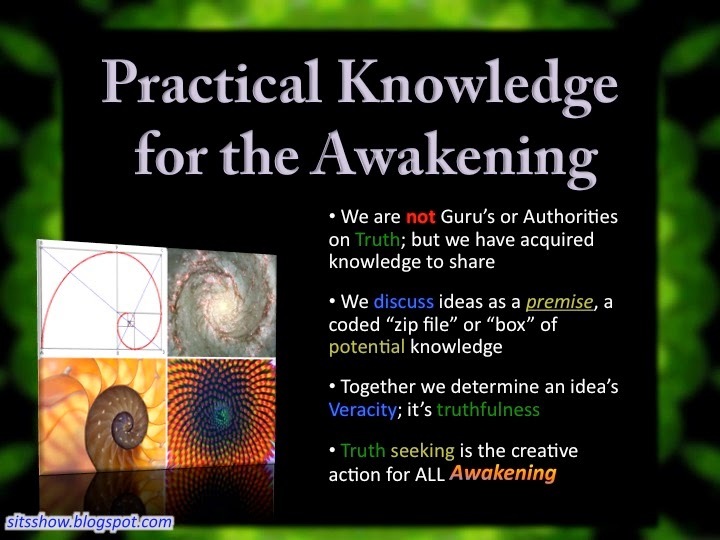 Holistic knowledge would be a way to describe information that is organized into a singularity within the mind, a precise reflection of truth from that person's point of view. Experience reveals flaws in our logic and understanding when we make mistakes, presenting the error to us so as to draw in consciousness for reorganization. DW - Let's just get back to what we were trying to cover in this episode, which is some of the people are traveling in temporal drives, and there's build-outs of colonies in our solar system. So if we look at our history, you have the Moon first, then Mars. How soon after they got to Mars and [made] successful, stable encampments did they start building facilities on asteroids or other moons? 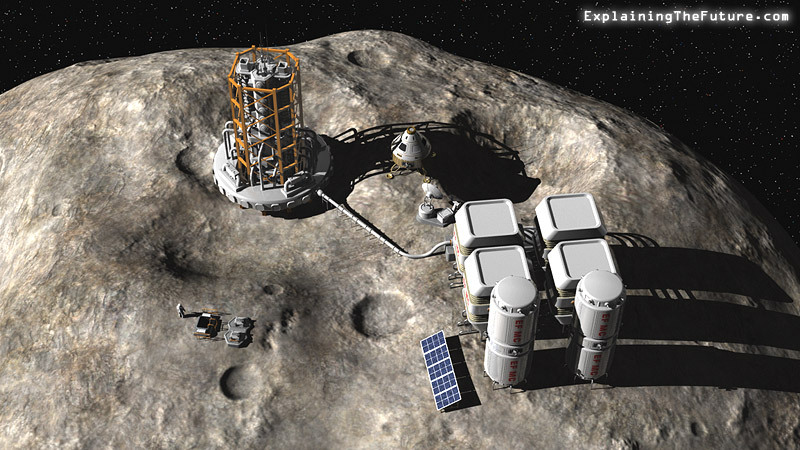 Artist rendition of a mining facility on an Asteroid. This image was not created based on CG's testimony. DW - Could you actually find entire asteroids that are just like a [single] piece of gold or silver? CG - I wouldn't say they are entirely a big nugget of gold, but they are very much gold. It doesn't take a whole lot of refining to separate the gold from the bedrock, or what used to be bedrock, that it's in. DW - Well, I would think that if they wanted wrangle an asteroid like that, you'd need a pretty big craft. So what were the original sizes of craft that the Germans were using as they made this expansion outward? CG - Small. I mean, picture this huge asteroid and [this] little-bitty craft. They're landing on this asteroid and then they're setting up mining facilities, and slowly digging further and further and further into these asteroids to where they're getting more and more hollowed out. Well, these asteroids are constantly being hit by smaller asteroids and this kind of thing. Well, you have safer working conditions inside. Most of what's going on is further inside the asteroid. Once they had gathered a certain amount of raw material, whether it be gold, platinum or any of these other things, it would be put into large container craft and then flown to its destination to be changed into usable materials. DW - When I was talking to Pete Peterson, he described the really interesting properties of a metal called bismuth. He said that you could extract it into a very, very long wire, and make a coil with bismuth and you get all kinds of weird stuff start to happen. CG - Yes I believe that is what is used in the Gauss guns. DW - What's Gauss - Gausskin? CG - An electromagnetic field [is] pulsed down [a] rod and [sending] a projectile out - I can't remember [how fast it was going]. It seemed like 5,000 miles per hour or something [like that]. It was an incredible speed. The projectiles were just under 50 caliber [in size]. And at the bottom they had basically a grenade launcher [of the gun], and these grenades were like 20-gauge shotgun shells, just in size and shape - they didn't look like shotgun shells - [these] were launched in a similar manner [as the railgun] that had a very advanced plastique type explosive in them that gave a much larger report or explosion than like an M203 grenade launcher. And these were the rifles that the security details would carry. DW - Did the ICC or the Germans develop advanced computer technology faster than we did on Earth that they could start to use in all this robotic mining and things? CG - Yes. They've had computers, computer systems, and quantum computers, much, much longer than - way before Bill Gates and IMB started to put out motherboards and integrated chips. DW - So can you just spell out for us now, when the Germans first got started, what was the approximate year that they first got a stable encampment on the Moon? Do you know exactly? CG - I know that it was in the late 1930's that they were using an older facility that they had pressurized and were using while they were building a smaller base. DW - This was like an ancient builder type of ruin that they found? CG - Right. And then that was in the early 40's I think that they completed this small base of theirs. CG - Around 1952 through 54 was when they really started getting the United States to sign the agreements. And they only just really got a foothold on Mars by then. I mean, they really had a lot of setbacks on Mars. They lost a lot of lives. DW - So almost like an 18-year struggle. CG - Yeah. I mean they really did the pioneering work on Mars. DW - But they had better success building mining facilities on asteroids and moons prior to stabilizing Mars? CG - This was at the same time. Once they had a stable area to call their own territory, then they [started] their mining operations. And their mining operations were more - I guess when a geologist goes around a large region and is picking up certain rocks, doing core samples, getting a good idea [of what's going on] and labeling certain areas and grids. I think it was more of an excavation and figuring out what was out there. And when they found certain things they needed, they would start mining operations. DW - Did anybody from Earth that we would know of getting the 'dog-and-pony-show' maybe to help keep them quiet like a president or prime minister, early in this game. Did they get to see what was going on so they knew what they were involved in? CG - I believe Eisenhower may have. He was the one that ended up, ironically, being a general in World War II. I imagine it was very difficult for him to come to terms signing treaties with the German break away groups. I can imagine it was really hard for him. But I think he ended up after - in 1952, things really got heated because we were turning down their offers. The Germans were making a lot of demands about wanting access to the United States and our resources as a part of a treaty. And we were denying it; we told them no. We were trying to play hardball negotiations. And through [Operation] Paperclip, this German secret breakaway group knew that the 'highest law in the land' was that the United States didn't want any of it's people to know about the existence of extraterrestrials or higher technology. So [the Germans] used that against us to force us to sign a treaty with them. And in that process I'm sure that Eisenhower, more than likely, along with all these corporate people that saw dollar signs, got a dog-and-pony-show and then the corporate people were just 100% onboard and wanted to exploit everything that the Germans had found. DW - Sure that makes sense. I don't really have a strong sense - you just kind of said "moons and asteroids." So what moons are we talking about [that the Germans built out]? How many of the moons in our solar system - because there's a lot of moons in our solar system. There's at least 100. CG - Right. There's a lot more than 100. DW - Ok. So how far did this go? And how much did it expand over time? What were the earliest moons that were conquered or landed on? CG - All of this is very tricky diplomatically because a lot of moons are off limits to everybody. Because they're diplomatic territory owned by these 40 or 50 groups. DW - The Super Federation? CG - The Super Federation people, especially around Saturn. DW - Really? Saturn has a lot of moons. CG - Yeah. 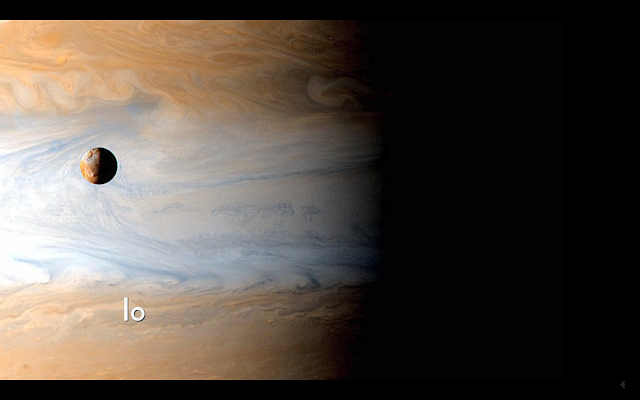 But there was a lot of activity around the moons of Jupiter. DW - Germans and ICC people? CG - Mmhmm. And Uranus. And the asteroid belt, but I don't know or remember any actual moon names or what actual element or resource they were exploiting from [whatever] planetary body. DW - Well Io is one of these weird ones that has all these volcanos and stuff like that, around Jupiter. And it's very close and quite hot. DW - Is a moon like that too inhospitable for them to land on? CG - Yeah, there's some that they could not get access to. 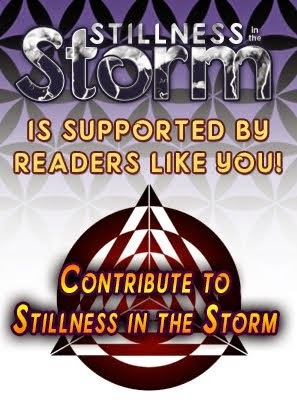 I remember reading, there was one moon, that was circling around a gas giant that was spewing some cloud of some element out, that they were collecting. They were collecting it from space, from behind the Moon. I know that sounds ridiculous. DW - No, not at all, actually. DW - Well I actually have. 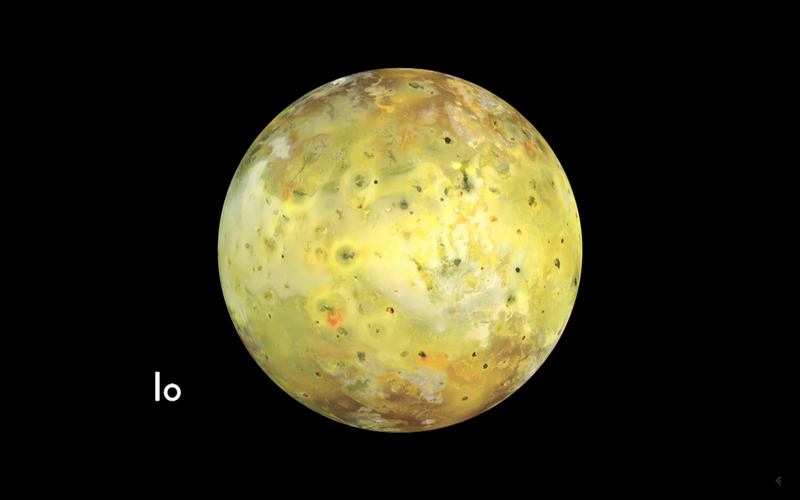 Io, as we were just talking about, does have very active volcanos that are spewing off a whole bunch of particles. DW - ... that have created a ring that actually looks like a saucer falling, when the saucer falls and it's kind of doing this <moving hands in a rotational gesture> as it's coming to a rest. That ring tips with the gravitational field of Jupiter. And there's been a significant increase in the particle density of that ring since the 1970s that NASA has tracked. CG - Have they done a spectral analysis of what chemical is coming out? DW - Yeah, and it's got lots of weird stuff in it like argon, neon, helium and oxygen and, you know a lot of things we might be able to use. DW - So that does make sense to me. DW - Every time I ask you questions, I'm learning all kinds of new stuff. So this is really mind-blowing. 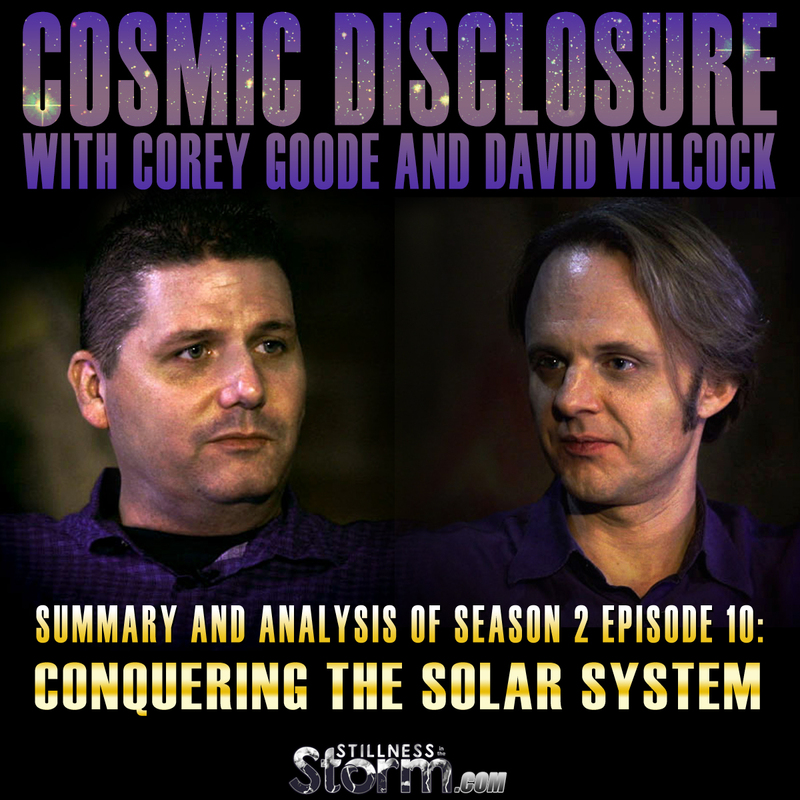 This is "Cosmic Disclosure" because you need to know. I'm David Wilcock and we'll see you next time. Click here for a Summary and Analysis of Season 2 Episode 11.